BEAUTIFUL Seminole Pool Home. Located on a cul-de-sac in a quiet neighborhood. Five minutes from the brand-new Seminole Town Center, walking distance to Seminole schools and only minutes to the beaches. Featuring a very OPEN split floor plan with pass-through sliding windows to pool and patio from the kitchen. All bedrooms have hardwood flooring and tile is throughout the remainder of the home. Closets by design have been installed in all closets. Pool has salt system, self-cleaning caretaker pool system with fiber-optic color wheel lighting for evening swim. Master bedroom has walk-in closet. Inside laundry room with plenty of cabinetry. Three sets of sliding doors all open to the pool and patio. Yard features irrigation system, large shed for extra lawn equipment and white vinyl fence encloses the property. Garage has plenty of storage space and easily fits two cars with a brand-new garage door installed six months ago. 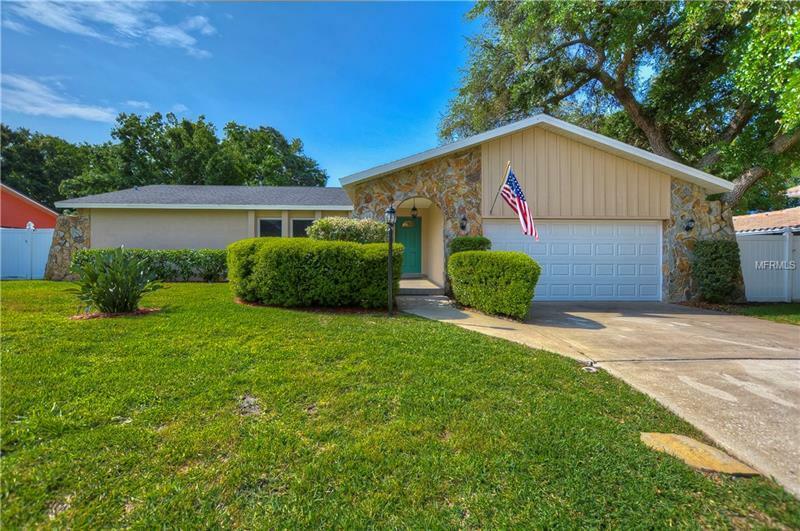 This is a must-see property for someone who enjoys being close to beaches, shopping and Seminole schools.